I wonder if it's just me that has to have the latest beauty product and will attempt to part the sea to get to it, but then once I have it I don't get around to trying it immediately? Is that just me?! 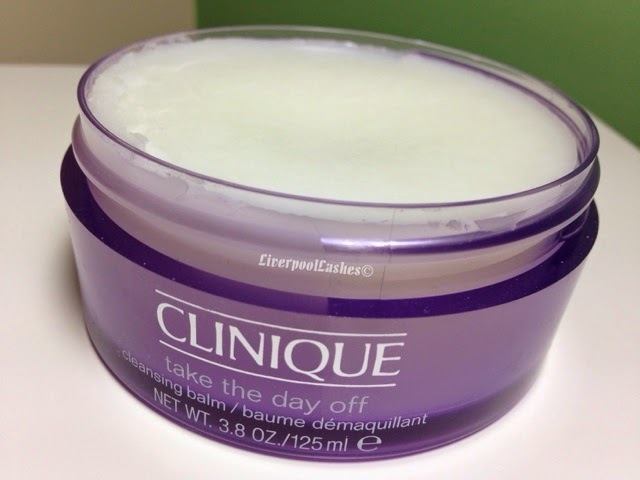 One of the many products I am referring to on this occasion is Clinique Take The Day Off Cleansing Balm. I stood in a queue waiting for the Clinique assistant at the Trafford Centre for ages, only for her to tell me that it was really popular as it had just launched and that they were having problems getting stock. This, of course, successfully made me want it more which is an excellent marketing ploy. The moment I got home I tried the Boots website and managed to order it with no problems at all. Please note however at the sheer state of the product that I received. I should have complained that it came in a Jiffy bag with no box (I am unsure if it should be in a box but it wasn't and it wasn't sealed either.) It was dented like it had been in a war/had had a fight with a claw hammer. It's actually bugging me typing this that I didn't say something but I just couldn't be bothered which is surprising for me. Up until trying this product I had only tried one cleansing balm which was the RMK version, to which it's safe to say that I fell deeply in love with. For some reason I struggle to understand how something of this texture can remove the toughest make up like my waterproof mascara but it blows my mind when I use it. 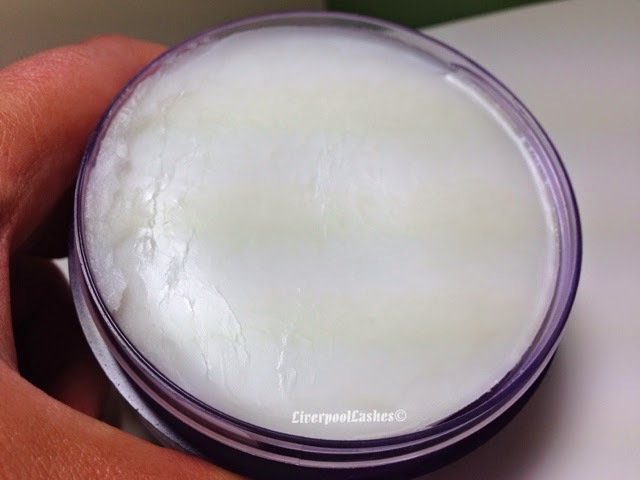 The texture of the product is really smooth and soft, just like a body butter. 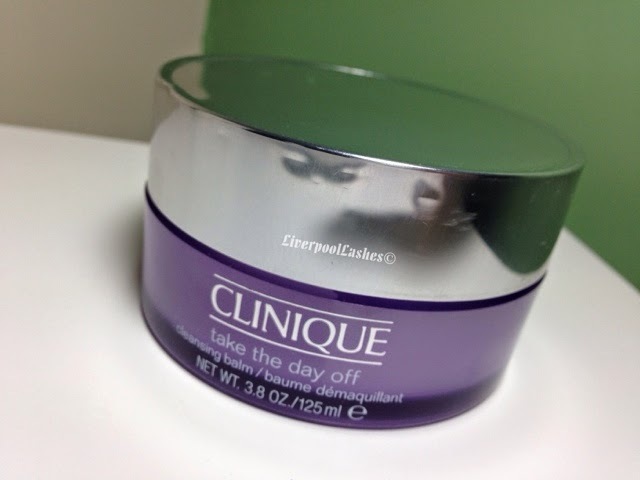 Clinique Take The Day Off is fragrance free which is great although I must admit my beloved RMK Cleansing Balm has a rose scent which is pleasant and certainly doesn't irritant my eyes at all. I apply it onto my dry skin and massage it in. On my first attempt I wanted to really give it a challenge so I decided to use it when I had an extremely dark purple eye look going on, just to see if it could cope with removing it. I have to admit that it removed probably around 80% of it without a flinch but when it came to washing it off there was still quite a bit of the black shadow/mascara that came off on the towel. I re-did the process and it removed it completely. I wiped my face on the towel to check and it had definitely removed the lot this time. The bottom line is... I do think that this balm is fantastic. It really does an excellent job at lifting all of the make up away. I do think, however, that the RMK Cleansing Balm does an ever-so-slight better job at lifting the heavier make up products. That aside, if you were wearing anything lighter on your eyes or even waterproof mascara then I would said you're going to love it! It's not the end of the world having to wash twice but obviously that's using twice the product up in the long run. The biggest difference here for me is the price of the two of them compared. RMK Cleansing Balm is £29 for 100ml were as the Clinique Take The Day Off Cleansing Balm is £21 for 125ml. 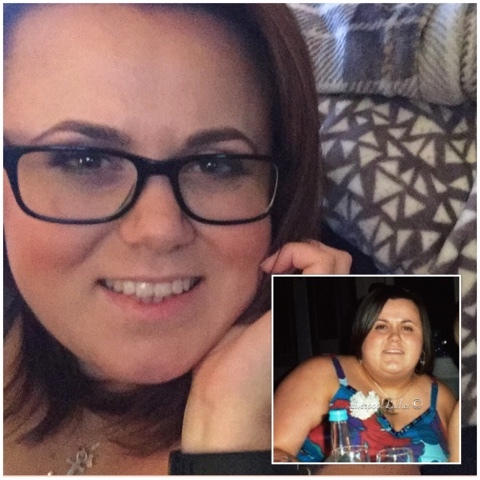 I hope you've found this review useful! I did the same, wanted the clinique balm because it was out of stock, then when I got it didn't get around to using for ages!! Mine didn't come in a box either, which I think would be a nice touch.